It’s lovely getting all those birthday posts and birthday messages when Facebook tells your friends that it’s your birthday, but trying to keep up with them all, let alone manage and respond to them all, can be a bit overwhelming. 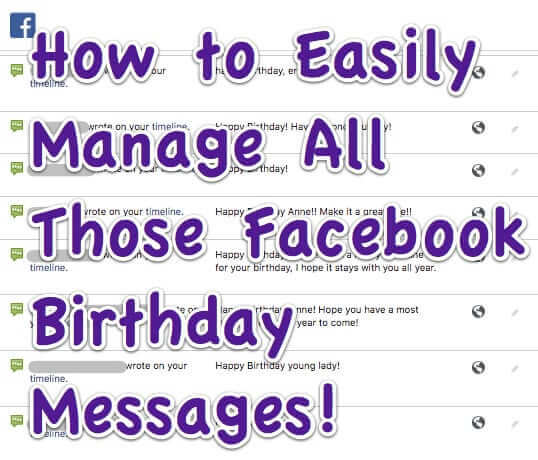 Here’s how to make all of those Facebook birthday greetings manageable, including being able to respond to them all! While ‘archive’ had always been an option previously, now the only options for dealing with a received message in the Facebook Messenger app are ‘Mark as Unread’, ‘Ignore Messages’, blocking the sender, or deleting the message. Ignoring the message is the closest message option to archiving it, however that moves the message to “Message Requests”, which is not at all what you want to do. Let’s say you want to search all of the text messages that you have received on your Mac via Messages (formerly iChat), sent using Apple’s iMessage system, because you know someone sent you some information via chat messages, but you can’t remember who, or you can remember who but it was so long ago that scrolling back on your iPhone or in your Mac’s Messages chat window would take forever. 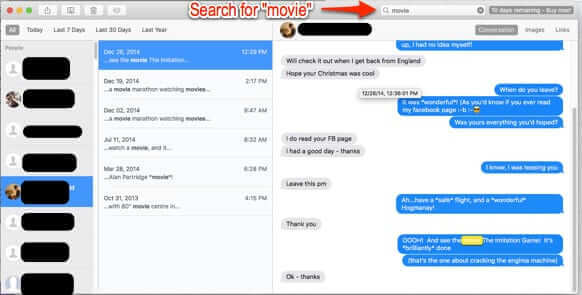 Here are two methods to search all of your archived Mac messages at once. Get Notified by Text Message of Amazon Deliveries, Shipments and More! Here’s a nifty, little known service offered by Amazon: text message (i.e. SMS) notifications of when an Amazon order is delivered to your door, as well as when an order has been shipped, when a refund has been posted to your account, etc.. 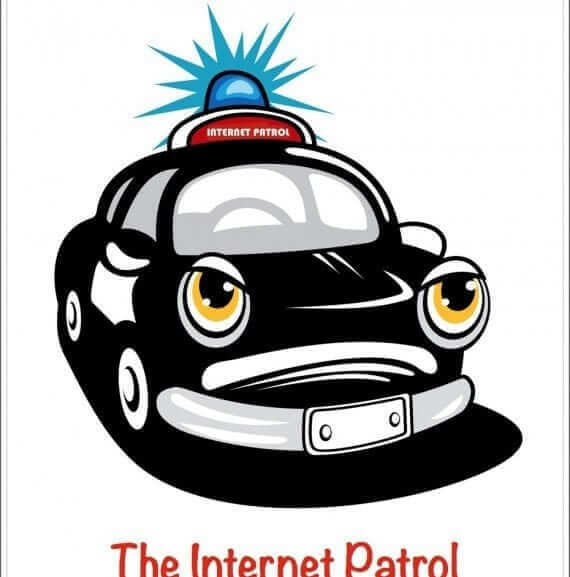 In this day and age of so-called ‘porch pirates’ (people who follow the UPS truck and steal your packages as soon as they are delivered) this is proving to be a very useful service! “iPhone text messages won’t stay deleted and keep coming back,” complains one user. “How can I permanently delete iMessage SMS messages?” asks another. 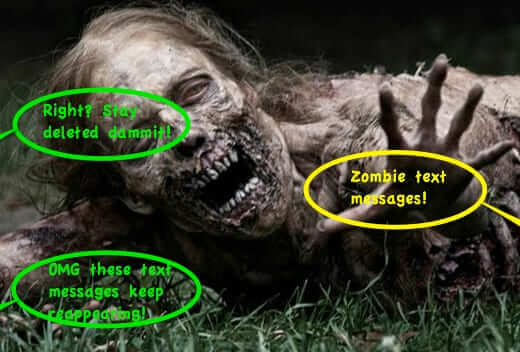 It seems that no matter what you do to delete those text messages, they keep coming back! Here’s how to delete text messages and text message threads on your iPhone permanently, so that they don’t reappear. Don’t you just hate it when you get included in a mass Facebook email message from someone on Facebook, and then lots of other people start replying, and you get all of those replies? When you find yourself swimming in Facebook message replies to a Facebook message thread that you never even requested, do you find yourself wondering how to unsubscribe to the message thread – how to stop Facebook messages – how to stop receiving all those replies? How to leave the conversation? Well, here’s how. Don’t you just hate it when you type a text smiley face such as :-﻿) and your chat program insists on turning your text emoticon into a graphic emoji? Here’s how to turn off emoji in the Mac instant messenger program Messages (formerly known as iChat and iMessage), so that it will instead send and display text-based smiley and other faces. Automated vacation messages are often frowned upon for several reasons, including that they can be a spam vector, that if set improperly (such as being triggered with every single email from every single person) they can actually views as spam, and that they can actually cause legitimate email from you to end up in the spam folder. 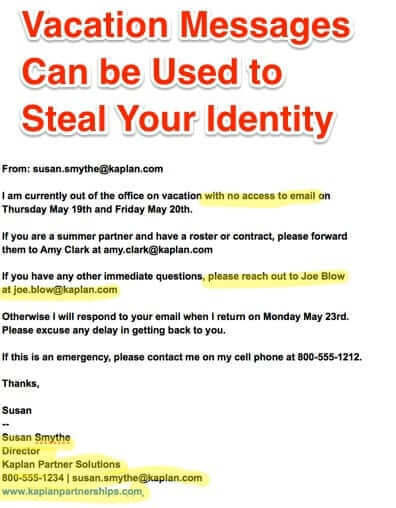 But as if that’s not enough of a reason to not use an automated vacation message, they can also be used with a bit of social engineering to steal your identity. Here’s how that can happen. LinkedIn has ramped up their promotional message program – also known as sponsored messages (or as some call it, LinkedIn spam). 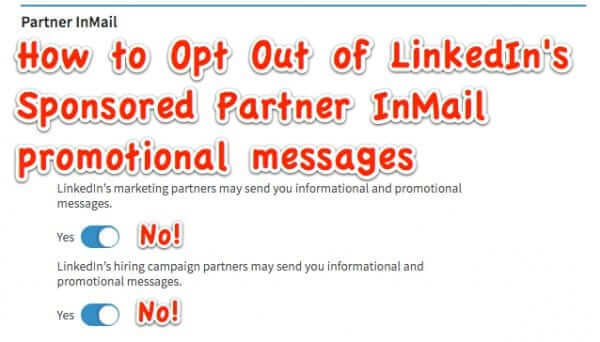 Promotional messages, explains LinkedIn, are “from a marketing or hiring partner and was sent to you based on your browsing activity or non-personal information such as job title, primary industry, or region.” Here’s how to make it stop. Did you know that you have a second Facebook Messenger message folder that you may not even be aware of! This other folder is the ‘Filtered’ folder, and it’s where Facebook puts messages that it thinks are spam. The problem is, lots of messages that aren’t spam end up in that spam folder too, and you get no notification of these messages! This is true whether you are using the Facebook Messenger app, or reading Facebook message through the Facebook website – but you can only find the Filtered folder when on the website (not through Messenger). 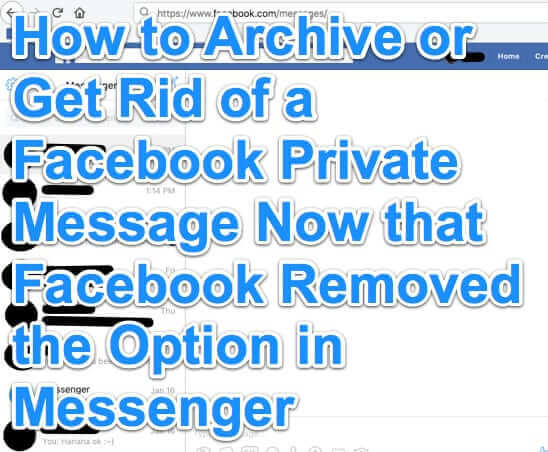 Bonus info: How to delete all Facebook message at once (or at least get rid of them more easily). Wired’s Joseph Cox has a brilliant idea: what is the best, most readily available consumer device to use to make completely secure calls, and to use for secure text messages and secure chat? 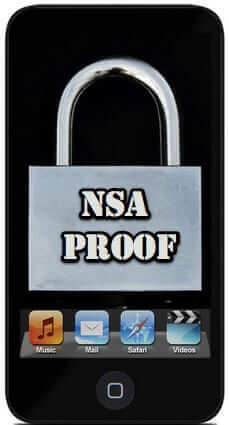 (Well, at least as secure and locked down as the average consumer can easily make them?) An iPod Touch! Brilliant! Here’s why. 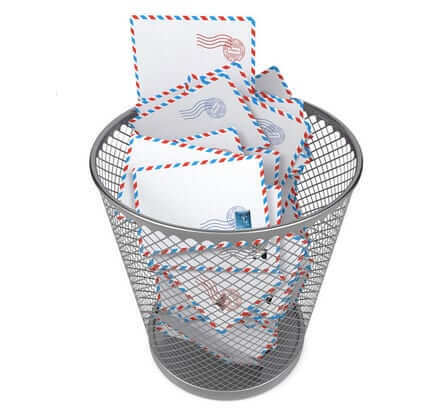 How Come Email Messages I Delete Aren’t in the Trash in Mac Mail? If you use Apple’s Mac mail app, occasionally you may find that your deleted email is not going to the trash folder (i.e. don’t go in the ‘trash mailbox’ as Apple calls it). Or you do an email-wide search, and while your trash is included in your search, it’s not turning up that email that you know you just deleted. Here’s one reason that deleted mail messages may not be in your trash folder in Mac mail. By now you may have heard that Twitter has added a group messaging feature, i.e. the ability to send a private direct message to a group of up to 20 people at once, and of course they can reply back to the group as well. 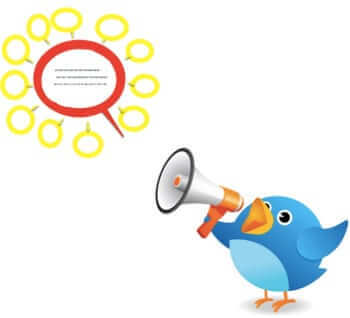 Here’s how to use Twitter’s new group messaging function.